In the case of bitcoin’s Q2 price movements, it turns out history didn’t repeat. As the three-month period came to a close this week, the final figures indicate bitcoin fell 8 percent according to CoinDesk’s Bitcoin Price Index (BPI), snapping a 7-year win streak for the market’s leading cryptocurrency. As seen in the table below, bitcoin had always put on a good show in the second quarter. For instance, BTC’s 1,964 percent rally in Q2 2011 is its best quarterly performance ever. 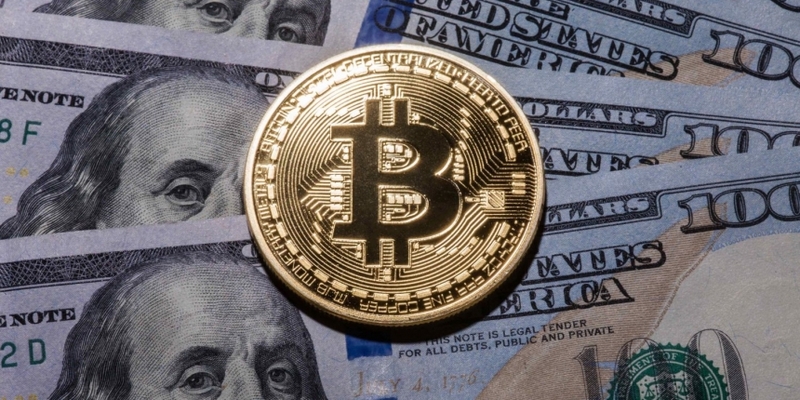 Clearly, history was on bitcoin’s side and hence, beleaguered bulls were expecting BTC to regain poise in the second quarter following a 50 percent decline in the first quarter. Accordingly, the cryptocurrency got off to a great start in April only to print fresh 2018 lows in June. The bearish sentiment hit the extreme in early April as pundits took note of the much-feared “death cross” (a bearish crossover between 50-day moving average and 200-day moving average) and began calling a move lower to $2,800 (a level was last seen in September 2017). However, the lagging indicator trapped bears on the wrong side of the market as oversold conditions put BTC on a recovery mode. Further, the bullish move gathered traction on reports that Soros and Rockefeller are venturing into crypto waters. Consequently, by April end, BPI was flashing 33 percent month-on-month gain and looked set to scale the $10,000 mark. The cryptocurrency had breached the long-term falling trendline (drawn from Dec. 17 high and Jan. 6 high) in April. So, emboldened BTC bulls were anticipating a big break above $10,000, which never happened. Further, things took a turn for worst in mid-May as BTC prices fell below the key 50-day MA and 100-day MA, signaling the path of least resistance is to the downside. The cryptocurrency continued losing altitude and closed the month with a 19 percent loss. BTC remained on the defensive throughout June as the long-term technical indicators turned bearish. The 5-month MA crossed the 10-month MA from above, confirming a bearish crossover for the first time in four years. Further, BTC found acceptance below the 50-week moving average for the first in over two-and-a-half years and suffered a pennant breakdown (bearish continuation pattern). Consequently, prices fell below $6,000 in June for the first time since November and printed a fresh 2018 low of $5,827. As of writing, the cryptocurrency is trading at $6,560, according to the BPI. Technically speaking, the cryptocurrency looks set to test $5,000 in the current quarter, as suggested by the pennant breakdown. However, amid the gloom and doom, the 75-week MA study is offering a positive outlook for bitcoin. The above chart shows BTC has bounced off the key 75-week exponential moving average (EMA) (MA) support. History shows, the moving average is a make or break level for BTC. For instance, BTC’s last bear market ended with an upside break (marked by a square) of the 75-week EMA at the end of 2015 and what followed was a two-year long bull market. So, while there is a reason to be optimistic, bulls are cautioned against being too ambitious as the long-term descending trendline is still intact. Only a break above that level would signal a bearish-to-bullish trend change. That said, the probability of BTC crossing the trendline hurdle in Q3 is high, given the cryptocurrency has rebounded from the key 75-week MA. Note that bears will likely make a strong comeback should BTC fall back below 75-week MA.